For the closing act at a charity event, Chinese actress Zhou Xun sang two songs – then stayed on stage for the best of encores. 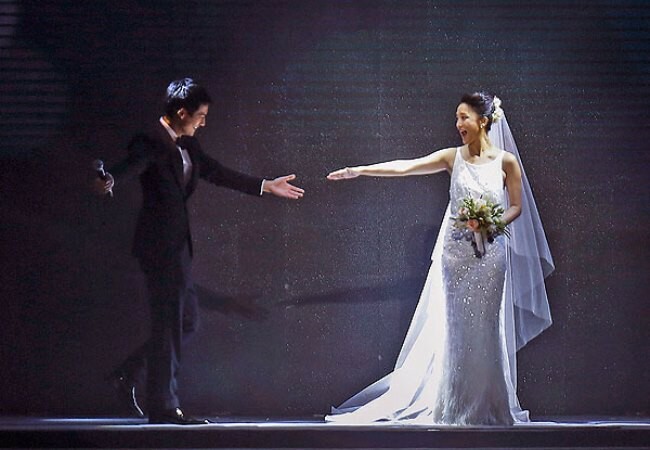 Rumors had swirled beforehand that Zhou would be announcing her engagement to actor Archie Kao at Wednesday’s concert in Hangzhou, the capital of China’s eastern province of Zhejiang. But after she sang, she went backstage to change her outfit and reappeared in an ivory Chanel wedding gown, holding a bouquet. 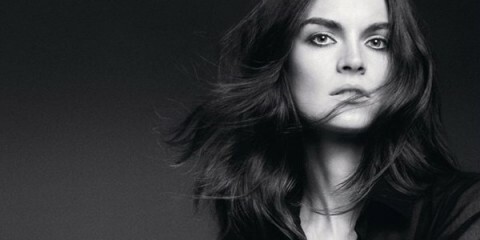 As the crowd broke into a loud cheer, she was joined on stage by Kao, who was wearing a black tuxedo. The couple then surprised everyone by announcing they were getting married onstage. They went on to exchange vows and rings in front of the audience. A beaming Zhou said she’s played a bride in several movie roles, but is happy that she’s getting her own happy ending. 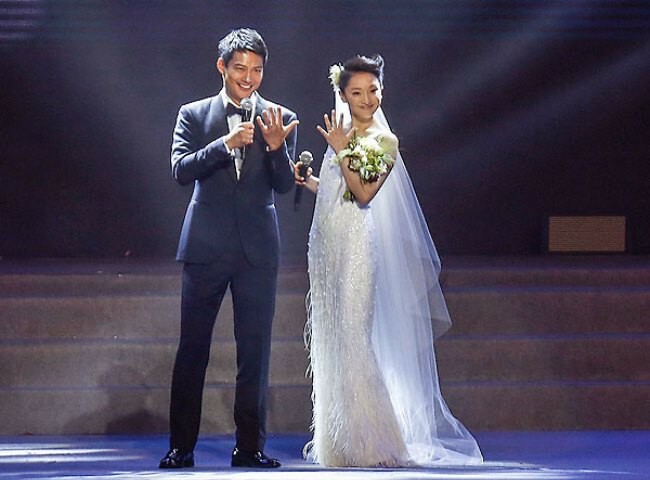 Zhou Xun’s official Weibo account quickly posted a photo of the pair in their wedding ensemble, sharing a kiss. It’s the first marriage for both. Zhou Xun, 39, is one of China’s most sought-after actresses and made her Hollywood debut in Cloud Atlas, starring alongside Tom Hanks and Halle Berry. Archie Kao, 44, is a Chinese-American actor whose credits include the television series CSI: Crime Scene Investigation and Snow Flower and the Secret Fan.